Porcelain veneers are a popular choice to gain a new beautiful smile. By attaching the thin shells to the front side of the teeth, you’ll cover cosmetic flaws while getting a whiter, brighter smile. Overall, veneers create a more esthetically pleasing smile by making your teeth more proportionate. Veneers are the ideal option for those who have chipped, cracked, or abnormally shaped teeth. Not to mention, they whiten your teeth while also allowing certain alignment issues to be hidden for a straighter smile. If you’re considering porcelain veneers in Ft. Collins, we have the answers to your top questions. The procedure to receive porcelain veneers is fairly simple and noninvasive. In some cases, a local anesthesia is used to reduce any discomfort. To begin, your teeth will be cleaned and about .5 mm of enamel is removed. After the etching process, we take images and impressions to create your custom veneers. Once your new veneers are ready, we will bond the veneers to your teeth for an amazing new smile. You may experience some sensitivity for a few days, but this will subside quickly. Caring for veneers is very similar to caring for your natural teeth prior to veneers. While veneers aren’t subject to decay, your underlying teeth remain susceptible to decay. As a result, you’ll still need to practice proper oral hygiene. Use nonabrasive products to brush and floss twice a day. In addition, visit your dentist in Ft. Collins twice a year for regular cleanings and checkups. With the right care, your new veneers will last an average of 10 years. However, your veneers can last longer. To promote the longevity of your veneers, use nonabrasive dental products. Avoid any habits or activities that can cause damage to the veneers, such as chewing on ice. At each dental appointment, we will check your porcelain veneers to ensure they are still properly bonded and free from damage. Should a veneer become damaged, we can easily replace it. Porcelain veneers are a cosmetic procedure, so it really depends on the insurance you have. Depending on your dental insurance, as much as 50 percent of the procedure may be covered. 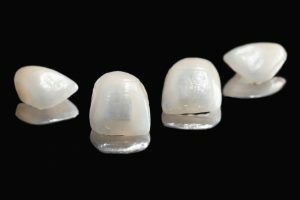 To determine if porcelain veneers are covered under your insurance plan, you’ll need to contact your insurance carrier. Dr. Shiloh D. Lindsey at Aspen Dental Care offers porcelain veneers to transform your smile. Due to her continued advanced dental training, Dr. Lindsey will create a customized treatment plan to improve the appearance of your smile. As a cosmetic dentist in Ft. Collins, you’ll get a radiant new smile using a simple and effective procedure. If you’re ready to have a new lease of life with an amazing new smile, it’s time to consider porcelain veneers. Schedule an appointment with Dr. Lindsey today. Call (970) 482-3166 to schedule a consultation. Comments Off on What Should I know about Porcelain Veneers?